Minimalist home designs are regularly picked by house proprietors nowadays to refurbish or build their properties, on the grounds that their simple and consistent style makes their dwelling place agreeable and relaxing. Minimalist design is impacted by the Japanese craftsmanship components of clean lines and open spaces. To obtain this kind of interior design, a house owner needs to keep in mind not only the furniture elements but also the internal door and frame. Internal doors made to measure can become a feature of any house, due to the chosen dimensions. 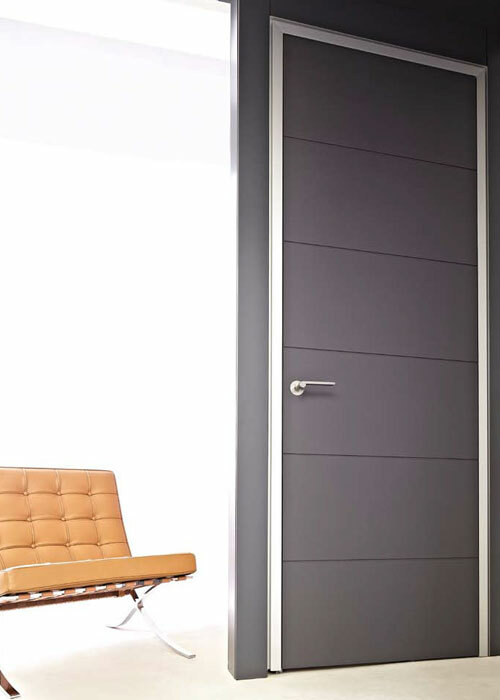 A floor to ceiling door with modern frame can bring a minimalist look to any room. 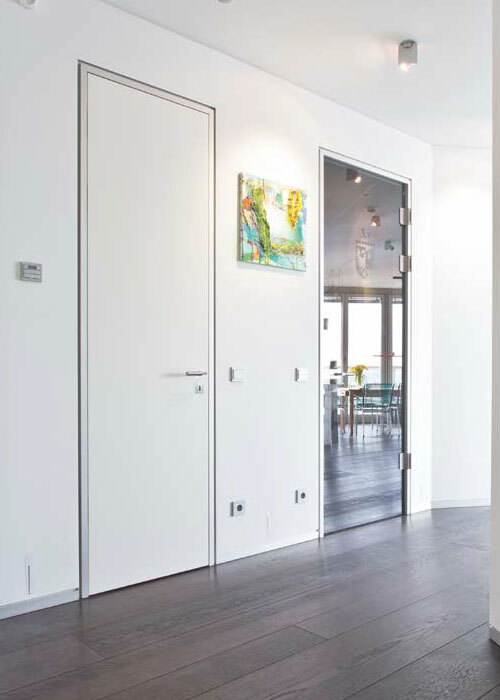 To be able to integrate this kind of doors, the German technicians developed a modern frame that will suit these tall openings. Besides the fact that no frame is installed on the ceiling, the side architraves are equipped with shadow gap ensuring a clean transition between the door and the walls. 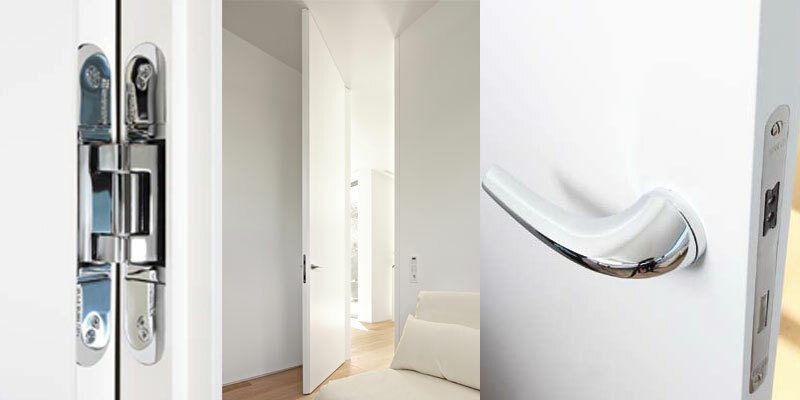 The polished chrome hidden hinges together with matching handle and magnetic lock are important features of these doors. 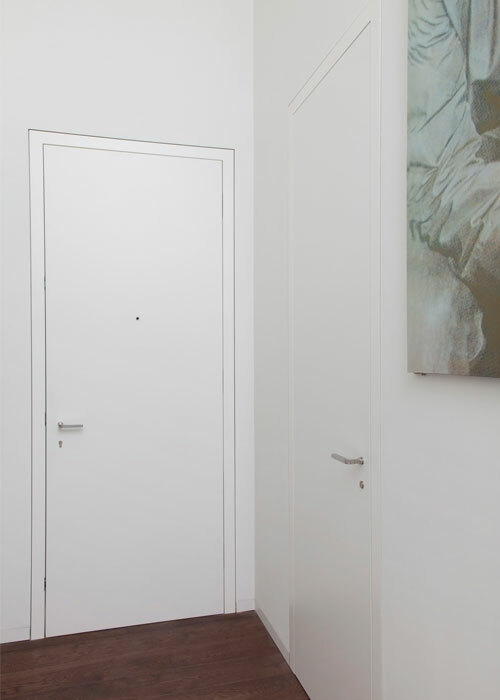 All the high-end hardware and materials used to manufacture these contemporary white doors are statements of the attention to details. The shadow gap frame has a feature groove at the junction between the frame and the wall, creating a modern and minimalistic feel. 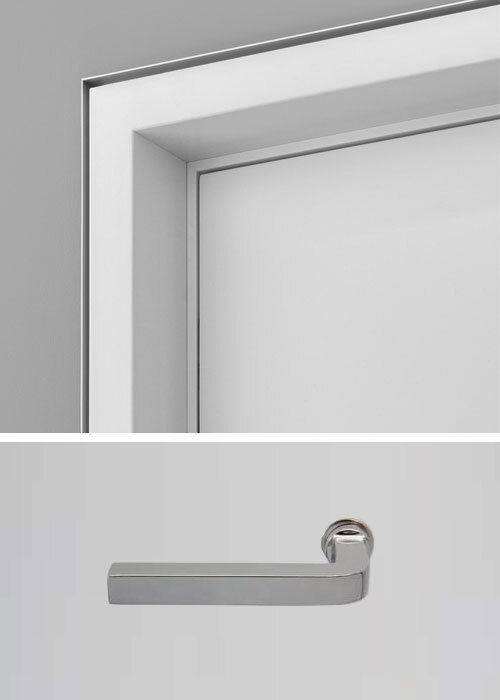 Shadow gap profiles are the perfect solution, as they eliminate the requirement for architraves, allowing for a slicker, more contemporary design and feel. 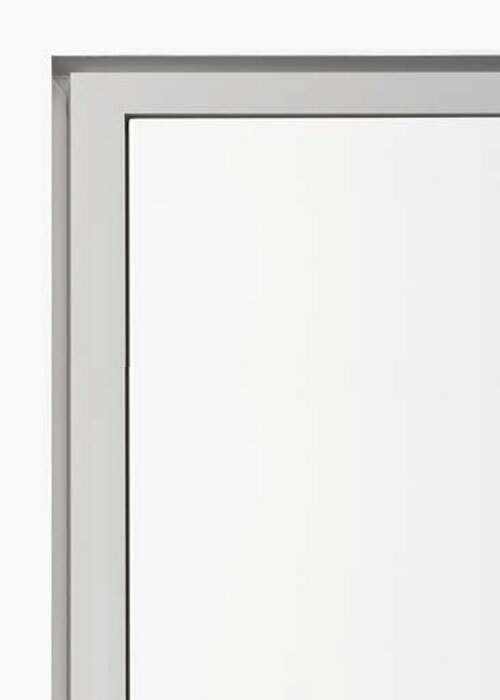 The door frames with aluminium brackets that create the shadow gap effect promise an accurate result. The exact angles of the frame are evenly tightened in the factory to create the desired gap and delivered as a whole. After the site installation, the wall needs to be plastered to the aluminium frame edge. 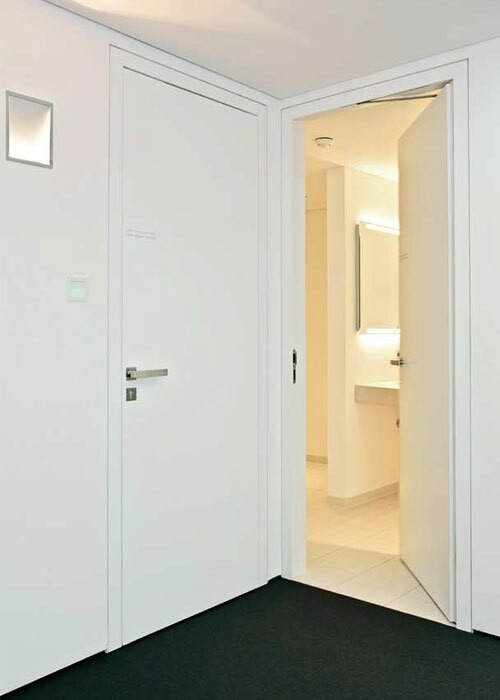 As specialists in interior doors with aluminium frames, our engineers have developed a sustainable overall solution for the well thought-out integration of interior doors. For this, technical perfection with the claim to lifelong function forms the basis across all stages of planning right through to the finished product. Whether builders, craftsmen or architects, anyone who loves the timeless and formal design is thrilled. The most demanding request is our benchmark for the longevity of our products.